Certified to meet NSF/ANSI Standards 42. NSF CERTIFIED: Tested and certified by NSF International against NSF/ANSI Standard 42,helps reduce and/or remove chlorine tastes and odors making the water you drink more refreshing. Good Quality at Half Price: Even better filtration effect for you to enjoy superior water quality. Glacier Fresh Guarantee: If you are not satisfied, please contact us. 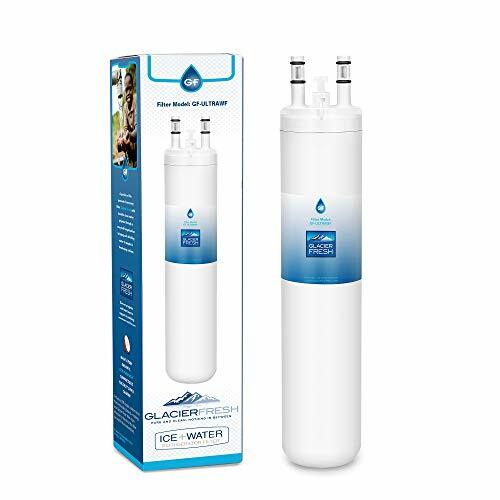 We will give a full refund or replace the new filter for free.You will not lose anything.Bringing healthy water to you is the lifelong mission of the glacier fresh.